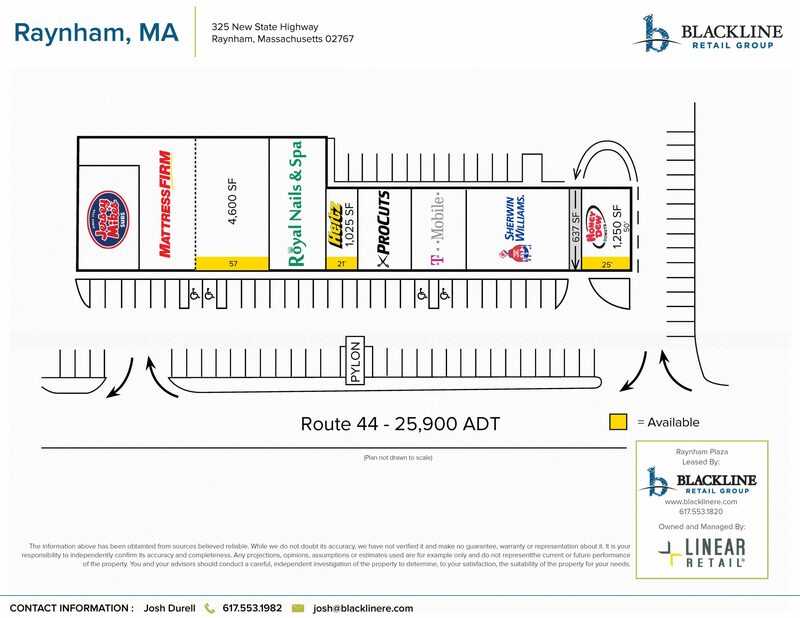 Raynham Plaza is located along the busy Route 44 retail corridor in Raynham, less than 1/4 mile west of the Route 24 interchange. The property offers excellent access and visibility to Route 44 as well as prominent pylon signage. Area co-tenants include Shaw's, Marshalls, and Panera Bread.